Usually when astronomers talk about our neighbouring galaxy, they’re talking about Andromeda, which is a cozy 2.5 million light-years away. But just a little farther – okay, 500,000 light-years farther – is another spiral galaxy, the third largest in our local group. Hubble has just released its most detailed view yet of that galaxy, which is known as Triangulum (can you see why?). 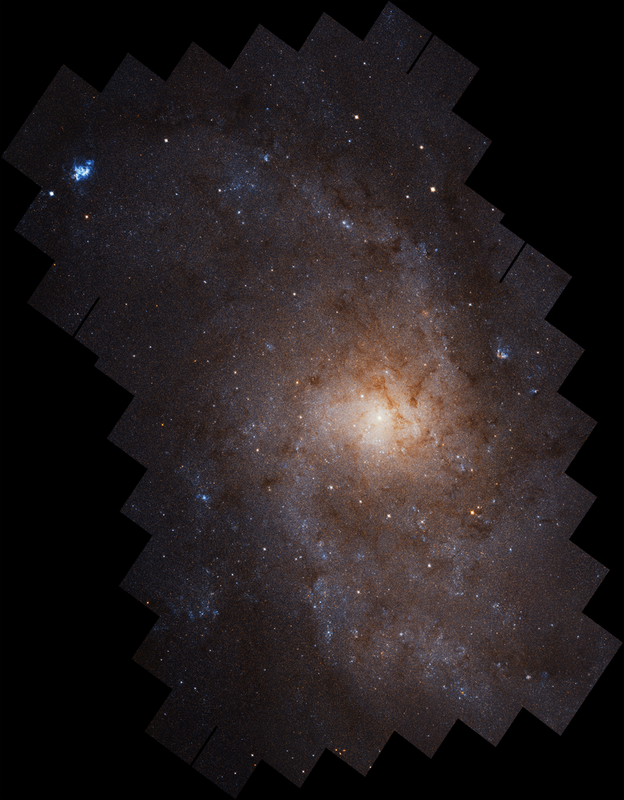 The full image contains almost 25 million stars, and will help scientists study not just the Triangulum Galaxy, but Andromeda and our own. Below is the full image, and you can find even higher resolution images here. The image consists of 54 Hubble fields-of-view taken from February 2017 to February 2018, according to a release from the Space Telescope Science Institute. The jagged edges are an artifact of the way Hubble’s cameras are arranged, as we explained in this blog from April 2018. Astronomers have measured Triangulum to be around 60,000 light-years across and contain around 40 billion stars – by comparison, the Milky Way spans an estimated 150,000 light-years and has hundreds of billions of stars. But it’s undergoing extreme star formation, perhaps 10 times more intense than Andromeda, according to the release. “My first impression on seeing the Hubble images was, wow, that really is a lot of star formation,” said astronomer Julianne Dalcanton of the University of Washington in Seattle, according to the press release. Hubble takes images in incredibly high resolution, of course, but it’s not the only telescope that can observe this galaxy. Triangulum is one of the farthest objects that can be seen with the naked eye in dark skies – it’s in the Triangulum constellation, near Andromeda. 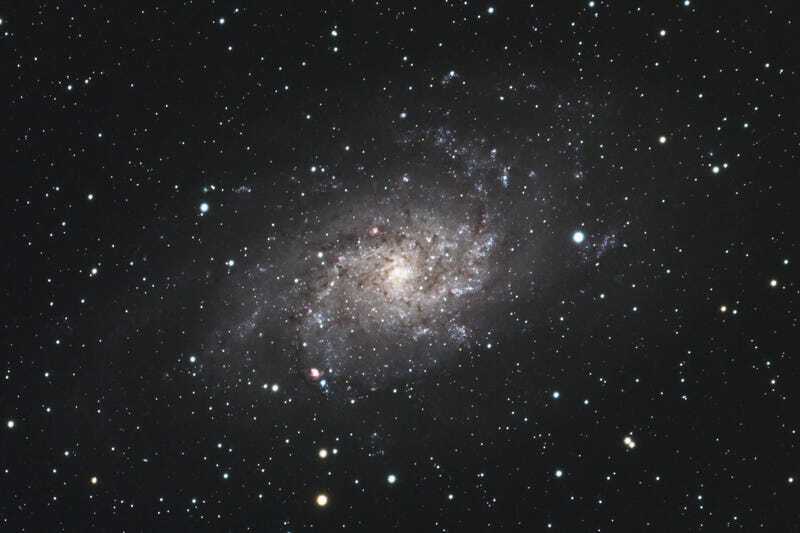 Astronomer Steven Bellavia, an engineer at Brookhaven National Laboratory, coincidentally sent me an image he took of the galaxy with a 71mm refracting telescope and 20 megapixel astronomy camera over the course of two hours. He captured the view from Long Island’s North Fork (accessible from New York City by commuter rail) two weeks ago. As always, this is your reminder to look at space! It’s pretty great.